As life expectancy in Sub-Saharan Africa increases steadily, health-care systems in many countries are failing to keep up with the needs of older patients. To ensure that living longer is not a prescription for economic or personal misery, governments must work to extend services to their oldest constituents. Dar Es Salaam — My grandmother is 76, and my grandfather is 83. They have lived fruitful lives together, cultivating crops and grazing cattle in a remote village in the hills of southwest Uganda. But whenever I think of them, I am more in awe of their good health than their hard work. Because of the remoteness of their community, anytime my grandparents need medical care, they must travel 25 miles to the nearest hospital on motorcycles known as boda-bodas, paying about 50,000 Ugandan shillings (about $13) for the round-trip journey. Then, because they were recently dropped from their health-insurance plan due to age, they must cough up more money to foot the bill for treatment. In other words, for my grandparents — and for many older Africans — a visit to the doctor is onerous, costly, and exceedingly rare. Access to health care is an obsession for experts in international development. In May, at the World Health Organization’s annual World Health Assembly, officials from dozens of countries discussed how to achieve universal health coverage through the United Nations Sustainable Development Goals. And yet, most of the attention centered on mothers, newborns, and children; elderly populations in developing countries were largely ignored. Failure to address this omission would leave an increasing share of the population without access to affordable health care. According to the World Bank, life expectancy in Sub-Saharan Africa has risen steadily in recent decades, from just 40 years in 1960 to 60 years today. If this trend continues, the number of Africans living past their 60th birthday will more than double by 2050. This is of course good news; longevity is a key indicator of human development. But Africa’s elder boom will be a disaster if living longer means living sicker because of inadequate health care. In Uganda, many rural health-care centers lack the personnel, supplies, and infrastructure to meet the needs of older patients. Small clinics typically refer their oldest patients to the closest big hospital, which is often many miles away. Traveling by motorcycle over rough terrain can worsen health conditions; but with no other options, the frail must choose between a bumpy ride on the back of a bike and no treatment at all. It’s hard to blame those who opt for the latter. According to a 2010 survey by doctors at the Mulago National Referral Hospital in Kampala, boda-bodas are Uganda’s leading cause of road-related injuries. During the survey period, motorcycle passengers accounted for 41% of the hospital’s 1,500 trauma cases, and riders’ injuries consumed 62.5% of the hospital’s surgery budget. Given the dangers of travel, it is no wonder that my grandparents are reluctant to seek medical care. Of course, the biggest obstacle to health care in Uganda — like everywhere else — is money. In 2015, researchers at Makerere University found that household income is the main determinantof elderly people’s access to and use of health-care services. The story is similar in the United States, where average annual health-care costs have been increasing for decades. But while older patients in the US can turn to Medicare (which accounted for 15% of federal spending in 2017), the elderly in most African countries have less government support. Still, a dearth of dedicated resources does not mean that Africa’s leaders must ignore their older constituents. By combining elder-care services with existing programs, health benefits can be extended to underserved populations. For example, single-sector initiatives, like HIV/AIDS treatmentschemes, could include elderly-friendly health-care components. Health-care workers who serve expectant and new mothers could also be trained to provide in-home care for the elderly in multigenerational households. These types of initiatives would not require vast sums of money; rather, the most important factor in launching them is political support and effective program integration. Developing countries have made considerable gains when it comes to improving health care for the young. Now, we must do the same for the elderly. 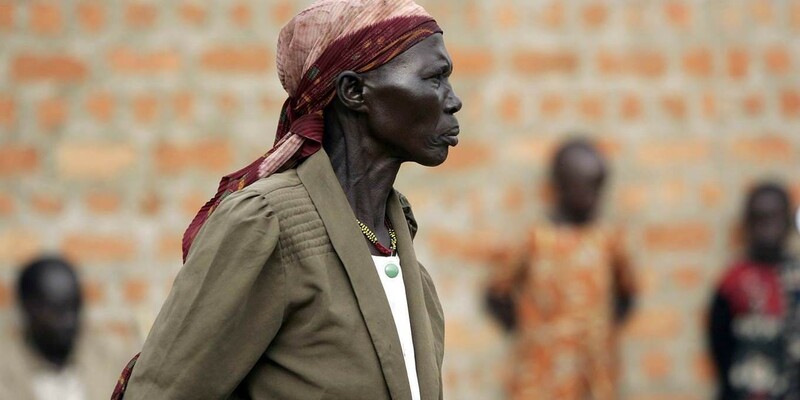 In Uganda, the government’s national health-care strategy could easily be strengthened by adding seniors to the list of so-called vulnerable groups. Integrating elder-care options into existing frameworks — such as the health extension program in Ethiopia, the community-based health program in Tanzania, and village health teams in my country — are other ways to extend coverage. Finally, community health-insurance schemes must be overhauled to prevent the exclusion of poor older patients. To maintain coverage and protect the elderly from financial ruin, reforms are needed to create plans that are financially sound and drawn from a larger pool of subscribers. We all yearn to live long, healthy, productive lives — just as my grandparents have. But without lifelong access to quality health care, longevity will be more luck than science. The integrity of any society can be judged by how well it treats its youngest and oldest members. That calculus applies to governments, too.